Watching huge bulldozers, graders and earthmovers in action fascinates most people – but only a skilled few can actually operate them. Construction equipment operators use machinery to move earth, construction materials, and other heavy supplies. They prepare sites for major construction projects such as roads, bridges, and buildings, and also mines, dams, and other structures. Construction equipment operators work in all kinds of weather, and often get dirty, greasy, muddy, or dusty. Equipment can be noisy, and make no mistake – safety practices are essential. Communication is key in this field, but typically conducted with hand or audio signals rather than conversation. These workers generally work full time, at times in remote locations. Some projects demand around the clock shifts. Operators specialize in different equipment. Operating Engineers work with power construction equipment like bulldozers, trench excavators, and road graders. 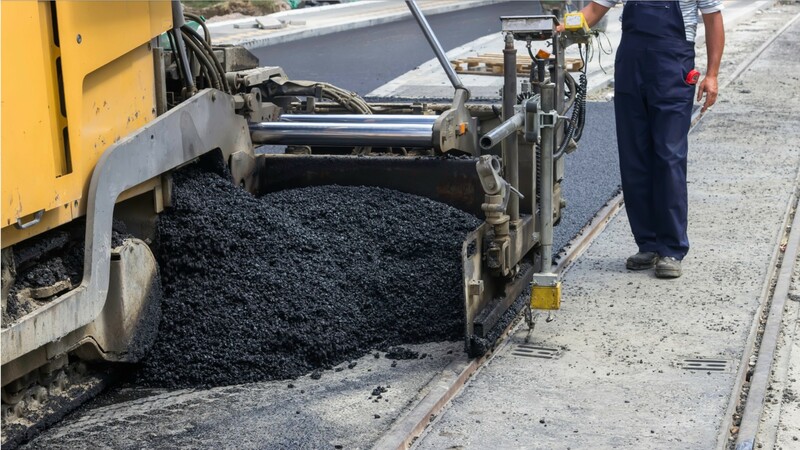 Paving and Surfacing Equipment Operators spread and smooth asphalt or concrete for roadways or other structures. Pile-Driver Operators use large machines to hammer heavy beams – called piles – into the ground for supporting bridges, piers, or building foundations. After earning a high school diploma or equivalent, many workers learn on the job starting with light equipment. Some attend vocational schools or learn through an apprenticeship. Most jobs require a commercial driver’s license to haul equipment to jobsites. See more details at O*NET OnLine about paving, surfacing, and tamping equipment operators. Paving, Surfacing, & Tamping Equipment Operators by U.S. Department of Labor, Employment and Training Administration is licensed under a Creative Commons Attribution 4.0 International License.